What is matcha? Matcha is a super fine powder made from green tea leaves that have been deveined and ground. 1 serving of matcha boasts the health benefits of about 10 cups of green tea! So, if you’re looking for an antioxidant boost, this is the drink for you! And green tea is often recommended for cancer prevention, so matcha packs quite a punch! Using unsweetened coconut almond milk means that this beverage is free of refined-sugar and honey can be adjusted or omitted as desired. Plus, having a dairy-free alternative means avoiding inflammation and it’s a welcome option for the 75% of Americans who are lactose intolerant. 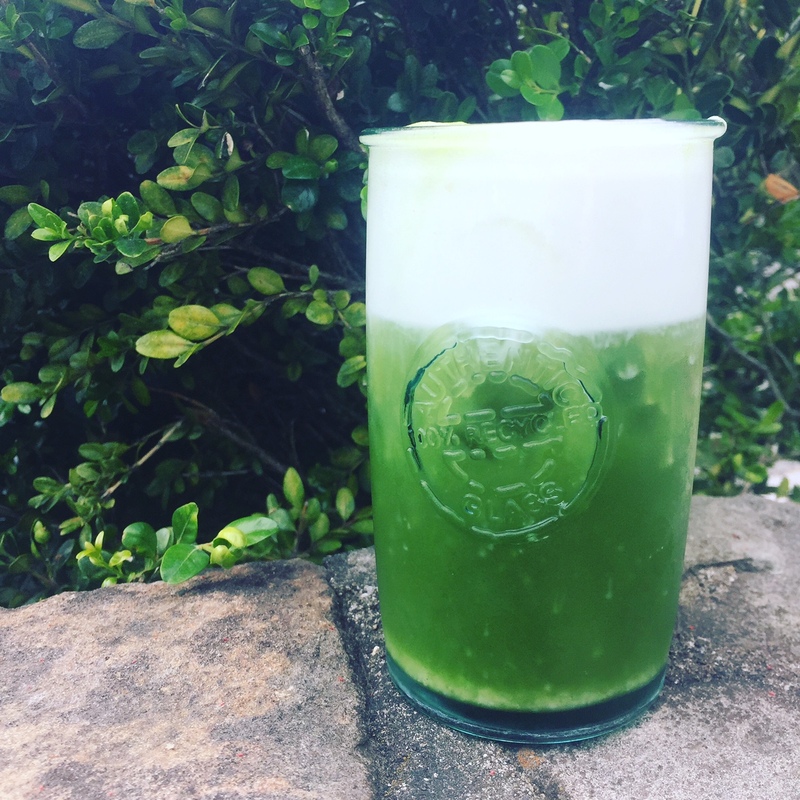 Served over ice, this matcha misto is the perfect summer pick-me-up! Pour milk into frother and select cold froth setting. Place hot water in a small bowl. Sift matcha into bowl and whisk in a front-and-back motion until matcha is dissolved and small bubbles form on top of water. Add honey and stir gently until dissolved. Fill a glass with ice and pour in matcha mixture. Top with frothed milk and enjoy! Don’t feel like making one yourself? Need some some matcha or special tools? We’ll make one for you, or hook you up with what you need to create your own! Have tea with us at Cucumber & Chamomile at 3 Danbury Road Ridgefield, CT.